Sometimes the grapevine is a problem. Remember how long we spent redirecting the rumor that Bu was dead? Years after Emily died people still ask me where my other dog is. There's only so much fun I can get out of telling them she's in the living room and she never barks like Eddie does. Other times it's a blessing. Yesterday Viggo was hit and killed by a car near his country house. One email with a request not to make the humans talk about it and we can use the grapevine to make sure they don't have to. *This is the last photo I took of him. I'm really glad I happened to swing by the stoop that day. When I first saw the picture, I thought, "gosh, he's getting big." Then I read the post. My sympathy and condolences to Viggo's people. 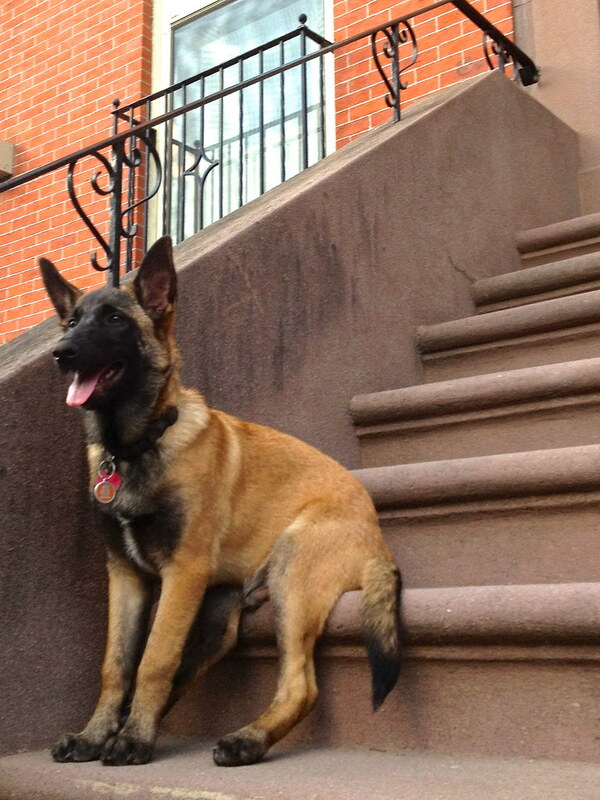 I used to own a Malinois, and they are very special dogs. God Dammit. Treats for everyone.